CHARMING 3 OR 4 BEDROOM, 3 BATH COLONIAL SITUATED ON AN OVERSIZED PROPERTY! IN APPROX 2007 AN EXTENSION (22X25), WAS ADDED FOR ADDITIONAL LIVING SPACE! AS YOU PULL UP TO THIS HOME YOU WILL NOTICE THE PAVER PATIO THAT LEADS TO A BEAUTIFUL ROCKING CHAIR PORCH. ADDITIONAL PAVER DRIVEWAY TO HOLD APPROX 4 CARS, & LEADS TO THE CUSTOM BUILT DETACHED GARAGE AND OVER-SIZED YARD.9 FT CEILINGS THROUGHOUT. LIVING RM & DINING ROOM HAS HARDWOOD FLOORS, KITCHEN OPENS INTO THE DINING ROOM. 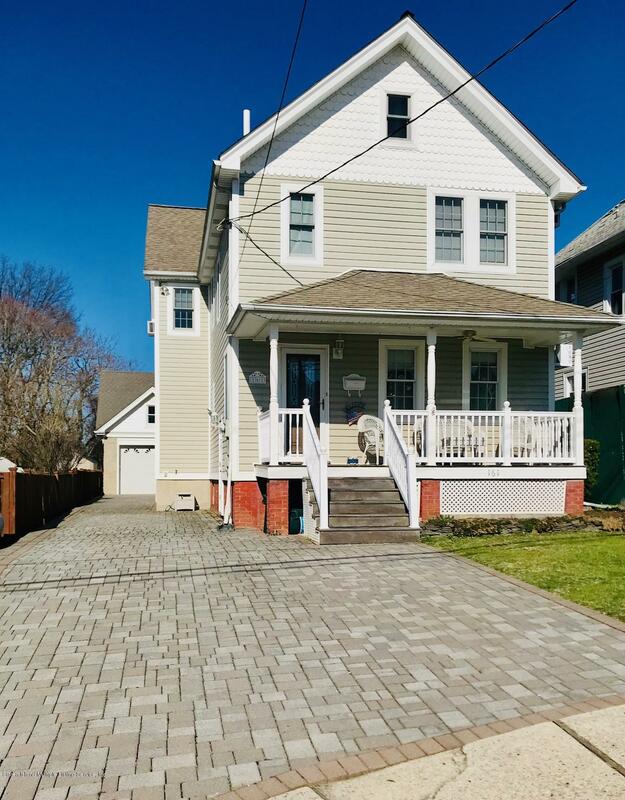 A SPECTACULAR GRAND FAMILY ROOM ADORNED BY BEAUTIFUL ANDERSON WINDOWS, HARDWOOD FLOORING , A NEWER 3/4 BATH & A PELLET STOVE WHICH MAKES IT WARM & COZY ON THOSE CHILLY NIGHTS. DOOR LEADS TO AN OVER-SIZED YARD, PVC FENCED, GARAGE & PAVER PATIO. ON THE SECOND LEVEL YOU WILL FIND 3 NICE SIZE BEDROOMS, & NEWER FULL BATH.